Sign up and receive Property Email Alerts of Offices to let in La Lucia, Umhlanga. 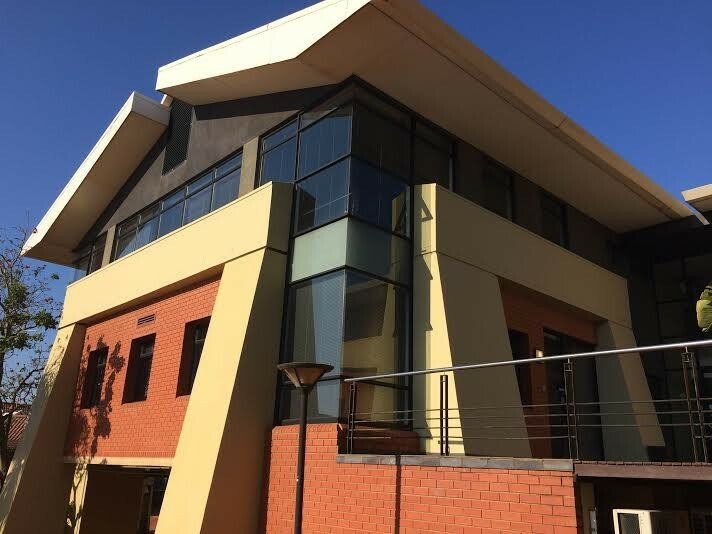 One of the most prime Office Parks in the La Lucia / Umhlanga district with high visibility from the M41 & Armstrong Avenue and excellent access to both the N2 and M4 roadways. Four modern, double storey buildings sit within a secure high-end business park with mature gardens and ocean views. This well maintained Office Park is well known for the high caliber of professional companies that operate from it as well as the timeless architecture of the structures. Access to an abundance of amenities such as numerous gym, retail, school and restaurants is good with the La Lucia Mall as well as Gateway Shopping Centre a few kilometers away. Ridgeside Office Park is a stone's throw away with numerous hotels and hospitals in close proximity. King Shaka International Airport is 18km North and Durban CBD 15km to the South. Sign-up and receive Property Email Alerts of Offices to let in La Lucia, Umhlanga.